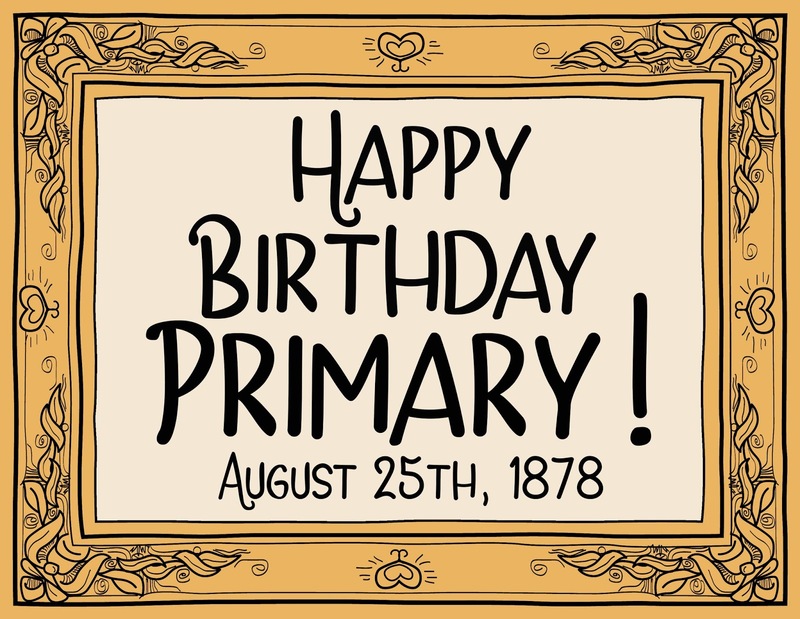 Primary is celebrating its birthday August 25th so I thought it would only be appropriate to wish it a happy birthday this Sunday in singing time! We have PLENTY of time before our primary program (scheduled for October 19th) so I'm glad to take a break!! Our primary sings We Welcome You to all the visitors and we LOVE it. However, we only sing the first half of the song and don't know the 2nd portion. So this Sunday we'll sing the first half using NEW "birthday" words and then learn the 2nd half by having each phrase placed in balloons that the kids will get to pop. Along with the song phrases are 3 paragraphs that tell a little bit more about our Primary's history that will also go into the balloons. I found the information HERE if you are interested. Reader Jen created these images HERE that she shared...thanks Jen! You can also print the full image HERE - it's a little small. Print these words HERE and place in a sheet protector. Then You'll need at least 14 small balloons (28 if you have Jr. and Sr. like I do!) that will each need to be filled with a slip of paper (found HERE). Number each balloon using a sharpie marker to match the number on the slip of paper inside (example: a balloon containing #1 slip of paper should have "1" written on it with a marker - just so you know what order to pop the balloons). TIP: to carry them to church, place them in a large garbage bag(s), keeping Jr. and Sr. balloons separate! Hang the filled & numbered balloons all around the 3 pictures posted above using tape or push-pins. I also have some crepe paper that I'll decorate the very edge of the board but totally optional. Then make a balloon popper using some sort of stick or dowel with a pin taped to the tip. I think the kids will be more comfortable popping balloons with the stick. 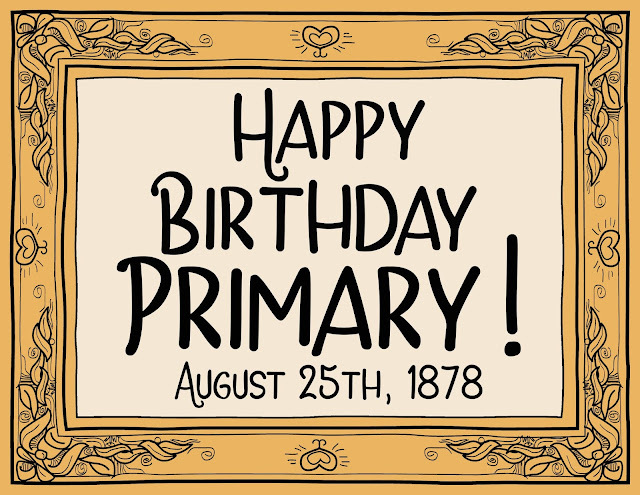 Tell the kids that the Primary's birthday is August 25th, 1878. Sr. Primary can figure out how old that makes it. 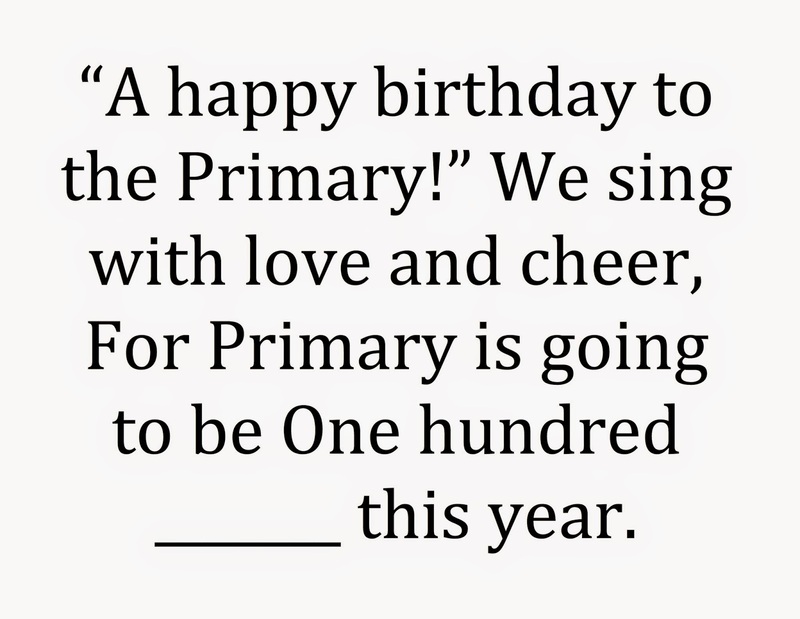 Sing Happy Birthday to the Primary by using the "birthday" words for We Welcome You posted on the board. Tell the kids that there is more to this song and it's all about the the purpose of primary. To find out more about Primary, you will need helpers to come pop the balloons (in numerical order). 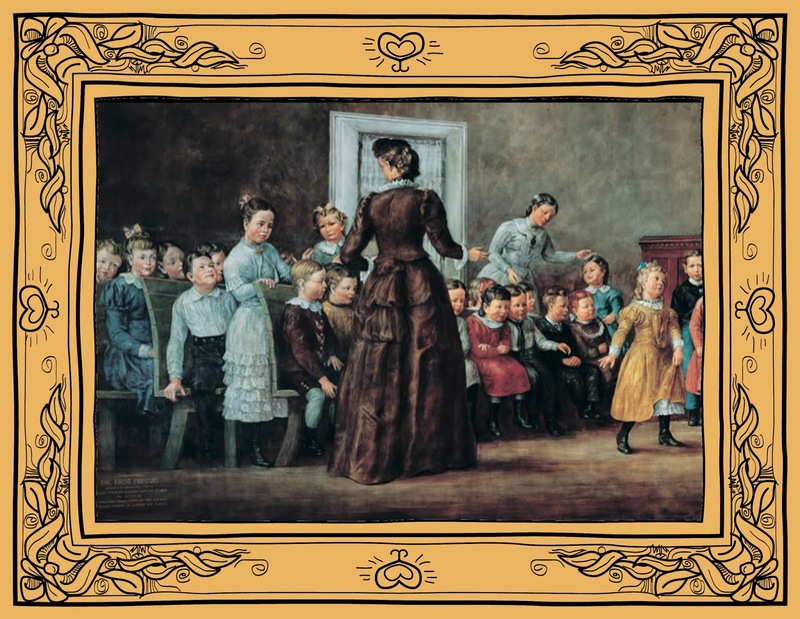 Have kids come pop a balloon, read the slip, sing or read the phrase that comes out. Continue until all the balloons are popped, the phrases have all been sung and the paragraphs all read. UPDATE: There was some discussion about balloons being irreverent, distractive and maybe scaring the kids by the loud popping. Today, after the activity (at least for our primary), none of the above happened. I was able to maintain reverence and not have any crying, kids. I did, however, make sure that when I blew up the balloons that they weren't filled to capacity and we had a nice lengthy stick that the pin was taped to. It made them a little harder to pop but when they did pop, it was a lot softer. Hope that helps!! Thanks A Lot! I think we will have a cupcake walk also! :) My friend has a pennant bunting like yours in the pic, so I think I need to borrow it and have it hanging for the celebration! I ran this idea past the president and she's concerned with popping balloons and being irreverent. Any alternatives you can think of? I have been the chorister for only a couple months and your blog has been so helpful! Thank you! I would suggest that if you are not up to balloons, draw a chalk cake on the board and print 14 big candles, number them & laminate. Then tape the slips of paper to the back of each candle. 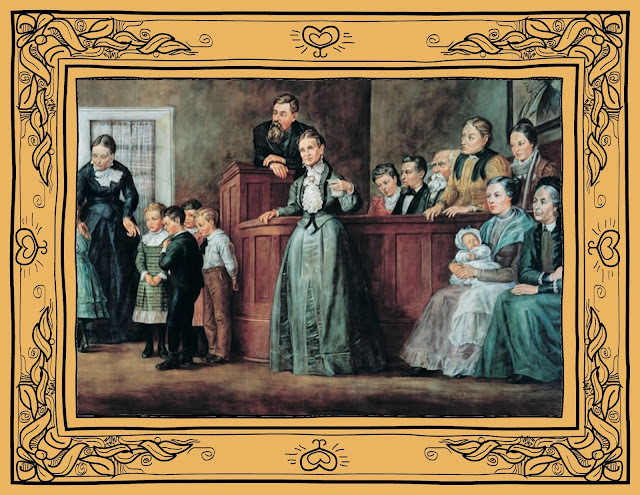 Each child can come up and pick the next candle. I'd put them out of order on the cake. I love this idea--so fun! I have done balloon popping activities and it has been fun for the primary. However, I have had little sunbeams get scared and sad when the balloons popped. I thought I might try paper balloons in junior that they just pick off of the board and real balloons in senior. Or, instead of popping the balloons, just having a paper rolled up and tied to the string on the balloon. Thanks Camille for your response! I ended up using a large tri-fold poster board with balloons stuck in it (It's really hard to prep the room ahead of time). Instead of popping them, I just taped the phrase somewhere on the balloon. Not quite as fun as popping them, but the kids liked it! Such a fun idea that I never would have thought of myself, thank you! I used your idea today and it was a huge hit. I didn't have anyone who worried about the sound of the popping balloons (although this was an issue once, I just asked them in advance today what they preferred) and they were extra engaged and reverent. I actually tied the papers on the outside of the balloons for junior primary, but they voted to pop the balloons regardless if they could sing the words perfectly! They sang out beautifully, and I love this song!